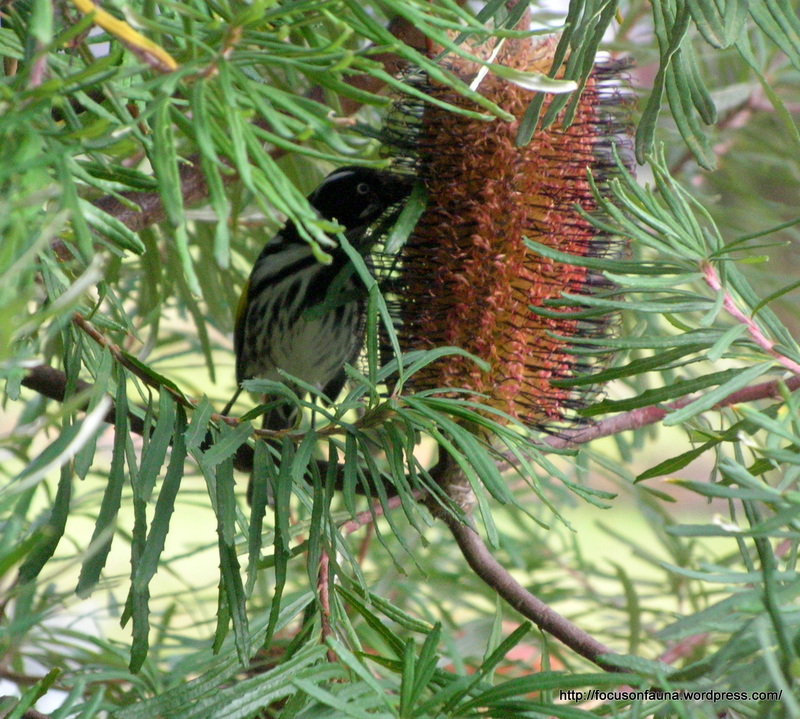 On a cold, drizzly winter’s day this Hairpin Banksia (Banksia spinulosa) provides a welcome food supply for honeyeaters such as the New Holland Honeyeater . This handsome spreading shrub is actually a planted garden specimen. Hairpin Banksia has a scattered natural distribution across eastern Victoria, but doesn’t quite extend to the Flowerdale-Strath Creek area. Our local banksia representative is the larger and once-widespread Silver Banksia (Banksia marginata) which, in the Goulburn-Broken catchment, is now confined to a few isolated patches, although it is often included in revegetation plantings. Apart from extensive clearing for agriculture, one of the reasons that naturally-occurring banksias have largely disappeared is their sensitivity to elevated phosphorus levels in the soil resulting from the use of superphosphate as a fertiliser.